We’ve recently provided some content to the travel website (and mobile app) Tripwolf. You can see the original text at this link, but here’s an expanded version. The view from the castle citadel of Kale (ancient Simena) in Lycia encapsulates the remarkable beauty of the Turkish coast. The western and southern coasts of Turkey have become incredibly popular tourist destinations in recent years, attracting literally millions of travellers. This is hardly surprising: the area enjoys a perfect Mediterranean climate and is easier to get to year by year, the tourist infrastructure and scope of leisure activities have been growing steadily, and the vast amount of places to stay ranges from self-catering apartments to five-star-hotels, all available at decent prices. In short, the Turkish shores offer everything needed for a perfect period of pool- or beach-side relaxation, but also for a more active holiday. The vast majority of visitors enjoy just that type of vacation. But easy and relaxing as that may be, most of them are unaware of some of the best and most enjoyable aspects of the region. 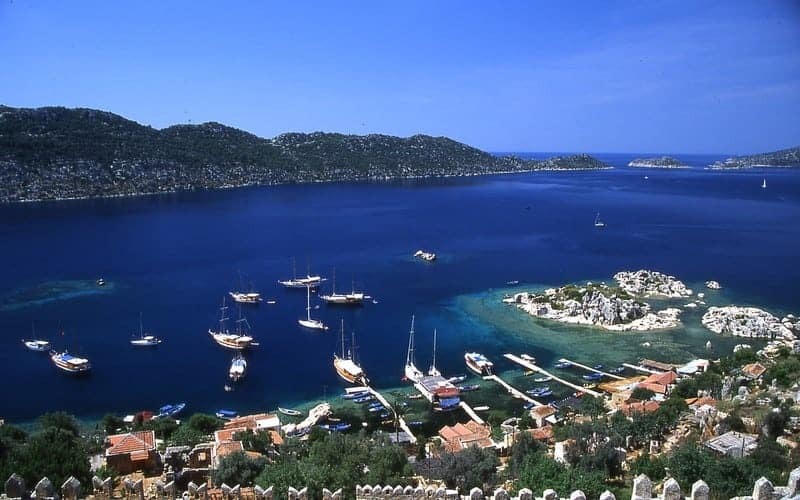 Coastal Turkey has a lot more to offer, to make the visit truly special and unforgettable. 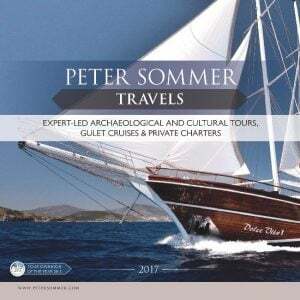 Here are our five suggestions of things you should do to perfect your experience and enjoyment of the Turkish coast – for all five senses. 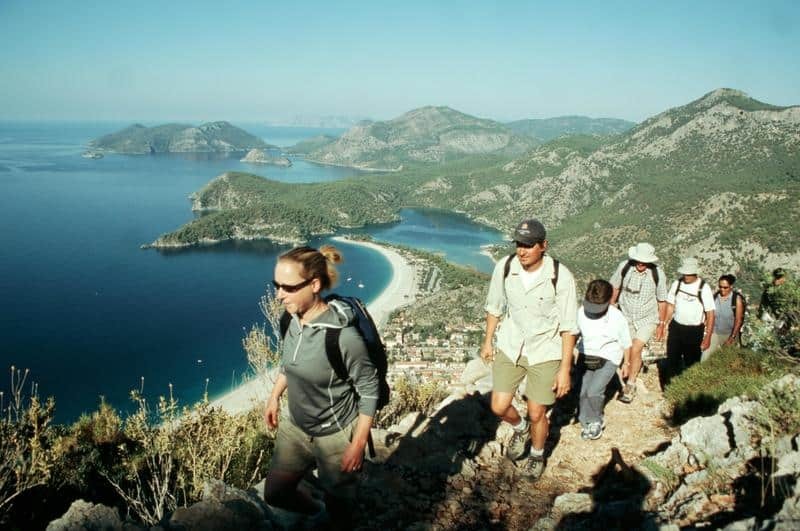 Hikers on the Lycian Way, above Ölüdeniz. 1. Get a feel for the place – go on a walk. The vast majority of visitors spend nearly their entire time on the beaches and in the tourist resorts along the coastline itself. As the name implies, that really is a line, a narrow strip that is no more than the outermost edge of Turkey, a huge landmass containing an astonishing wealth of beautiful or fascinating sights to see. So, do have a look at what’s hidden in plain sight: the hinterland. No matter where you are spending your holiday, you will find a whole world of unspoilt natural countrysides and authentic traditional villages, not far from the coast. Large forests, soaring mountains, river valleys and inland plains are awaiting you. Furthermore, in recent years Turkey has seen the gradual opening up of an impressive set of long-distance walking paths, including the famous Lycian Way in the South and the brand new Carian Trail in the Southwest. With a bit of research, a little time, and maybe some local advice, you can find your own trail, easy or challenging, long or short, to let you feel the landscape in all its beauty and get a hand-on experience of the terrain. 2. Taste Turkey – eat with the locals. Turkish food is rightly famous: due to its enormous extent and also to the long multi-cultural history of the Ottoman Empire, the country has access to an unusually diverse culinary tradition. Many hotels offer a glimpse of those delights, and some organised tours feature meals at a selection of quality restaurants. But most of the places aimed at the tourist market provide a somewhat streamlined, westernised version of the real thing. On your own holiday, you can greatly enrich your experience by keeping your eyes open to see where and what the locals eat. 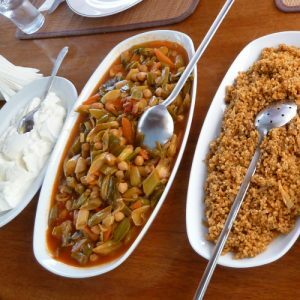 Everywhere in Turkey, be it in town centres or tourist resorts or just along the main roads, you will find an enormous range of places serving truly traditional and local food. In most cases, they specialise in a particular style, or even a single dish. Thus, a corba salonu serves wholesome soups (mostly based on lentils, beans or chicken), a kebapçı offers the famous Turkish kebab (including some very spicy ones), a pideci specialises in pide, a savoury pie with meat and or cheese, not quite unlike pizza, whereas a lokanta isa more generic local tavern, preparing salads and remarkably tasty slow-cooked or oven-roasted dishes at often surprisingly low prices. In many cases, the staff will not speak much English, but they will always do their utmost to help out by showing you what the kitchen has to offer. Incidentally, my absolute favourite is the kokoreç büfe, where you can savour one of the most popular Turkish dishes, kokoreç (lamb’s innards grilled on the spit, strongly spiced, finely chopped and served as a sandwich). But it doesn’t have to be as exotic as that: look out for what the locals choose, feel free to ask their advice, and be ready to be immersed in the discovery of a very real and very lively tradition. Traditional musicians in Kalkan (Wikimedia). 3. Listen – find out about the many musical venues and festivals. 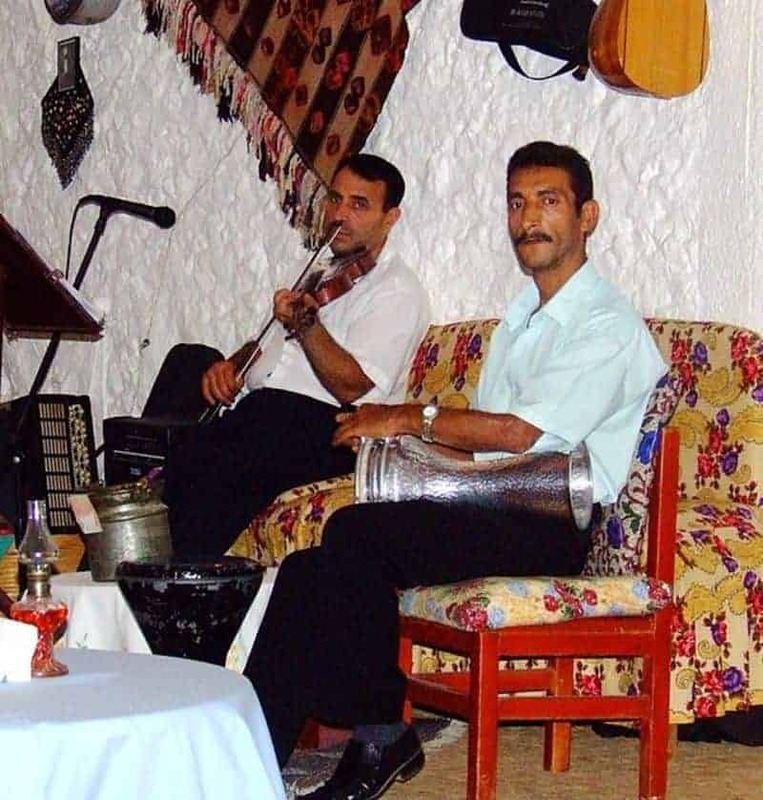 In the more touristy places along the Turkish coast, hotels or restaurants often hire folk musicians and sometimes dancers as part of their entertainment programmes. Those performances can be great fun, but they tend to lack in authenticity. Depending on where you are staying, there may be much more interesting discoveries to be made. If you are staying near a larger town, or in an area that also attracts domestic Turkish visitors, chances are that more real folk music is being played somewhere – ask someone. If you are lucky, you can gain deep insights into the vibrant heartbeat of a living musical tradition, with its own distinctive rhythms and instruments. Beyond that, there is a surprising number of music festivals throughout the summer, ranging from Turkish and international folk via classical music and opera to jazz. Keep your ears peeled and enjoy! 4. Inhale the scent of the country – at a local market. Fresh fruit on display in a farmers’ market. 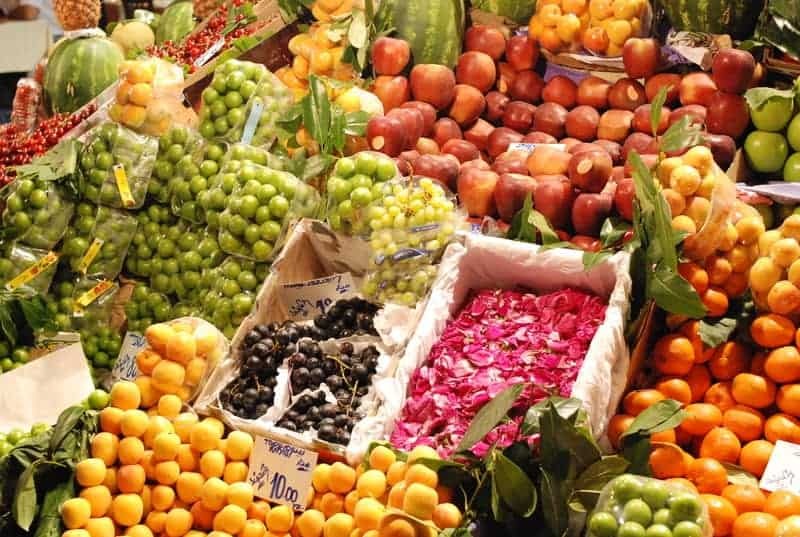 Turkey is to a very large an agricultural country, producing a vast array of fresh fruit, vegetables, nuts, pulses and so on. On a driving holiday, you will often find out with no effort at all what an area produces: more often than not, wooden booths along the main road sell the major crops, such as pomegranates in Lycia, figs in Ionia or oranges nearly everywhere. Stop and try some. But don’t leave it at that. There are weekly farmers’ markets everywhere, usually in a district’s main town(s) – and not to be confused with the more permanent tourist bazaars. 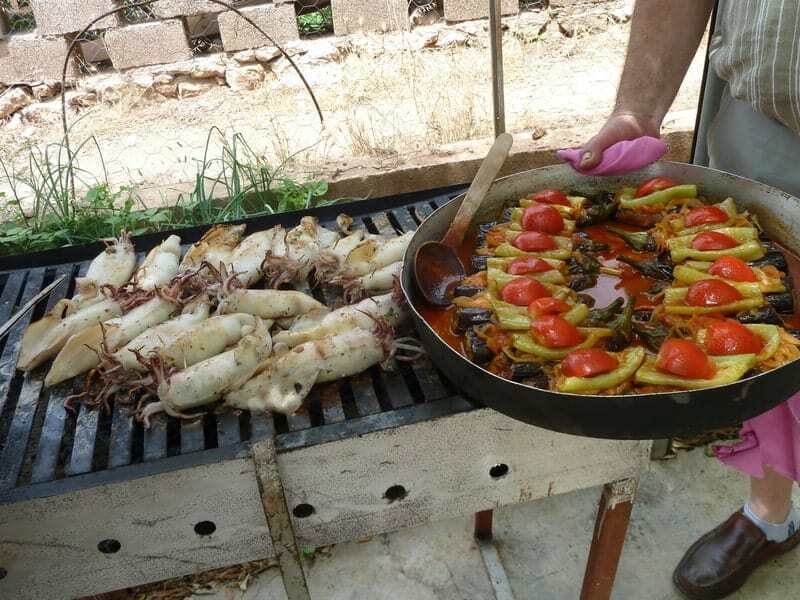 Once a week, local producers assemble in some square, setting out their wares for the local inhabitants, but also the restaurants, hotels and caterers serving the tourist industry. The markets are perhaps the most easily accessible facet of truly authentic Turkish life: your visit will bring you a fascinating multi-sensory panorama of the area and its inhabitants, busy, colourful, loud and often chaotic, and full of the aromas of the land’s produce. Look out especially for fresh seasonal fruit, often including unusual local varieties. (Make sure to wash fruit before eating). Part of the city wall of ancient Herakleia under Latmos, a vast and largely unexplored ancient city in an extraordinary setting. 5. Look at history – make your own discoveries! Turkey has literally thousands of archaeological sites, reflecting a long history and the many peoples that have passed through the region since early prehistory. At every resort, you can find tour agents that offer excursions to the most famous archaeological sites in the area, which are bound to be fascinating. Many hotels also organise such excursions for their guests. But again, that’s only the tip of the iceberg. The Turkish countryside contains hundreds of sites that have not yet been excavated or that have not been provided with the pathways and explanatory panels featured on the tourist sites. 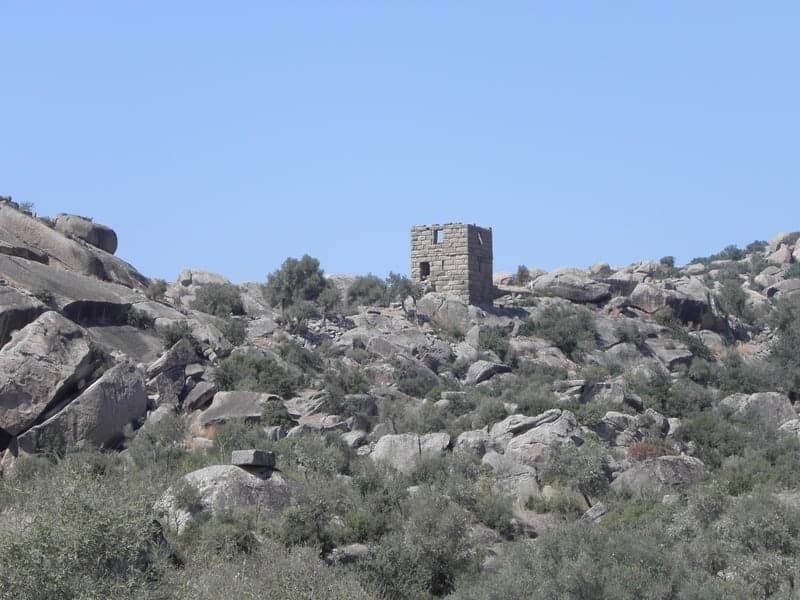 Often, impressive ancient remains are just sitting there in the landscape, maybe hidden away in a mountain valley or along a rocky coast, or sticking out of the ground between the dwellings of a traditional village. Such places can be found nearly anywhere along the coast, but you may want to do a little research beforehand to find out what there is: the remains of an atmospheric sanctuary to the ancient Gods, of a sturdy fortification, or even of an entire city may await you not all that far from where you are staying or passing by. Far off the beaten track, they invite you to explore, to make your own discoveries, to get your own sense of history and time by going out and looking for yourself. 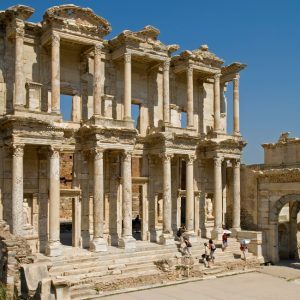 An easy way to get access to these places is to book one of our archaeological tours or cruises in Turkey, all of which include such sites alongside the better-known highlights. 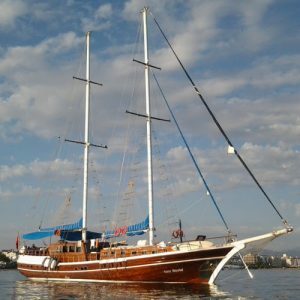 So, if you’re spending time on the Turkish coast this year, make that extra effort and find those unique experiences and unforgettable memories the country has to offer.